They say cash is king, but these days more people are reaching for their smartphones instead of their wallets. A growing list of smartphone apps are making virtual payments really easy. 13 Consumer Advocate Tricia Kean looks at what you need to know before you download a payment app. LAS VEGAS (KTNV) — They say cash is king. But these days more people are reaching for their phone instead of their wallets. A growing list of apps are making virtual payments really easy. 13 Consumer Advocate Tricia Kean looks at what you need to know before you download a payment app. "I just don't want my information out there," says Cecilia Medina. She's a little leery of using an app when it comes to making a payment. But her friend, Quinn Weathers, has gone digital. I have Venmo, I have Cash App, I use Zelle, PayPal," says Quinn. Cecilia and Quinn work together at a valley banquet hall. As co-workers and roommates, money is a topic that comes up often. Especially when it's time for Quinn to pay her share of the rent. "It would be much easier for me obviously to just hit 3 buttons and pay my rent. Instead of going to the bank, walking inside, taking out my money," says Quinn. Cecilia's willing to go the convenient route, but needs a road-map. "I would have to have somebody explain it to me. Like you mentioned a few apps that I don't even know, the Z one?," says Cecilia. "I don't even know what that is," says Cecilia. 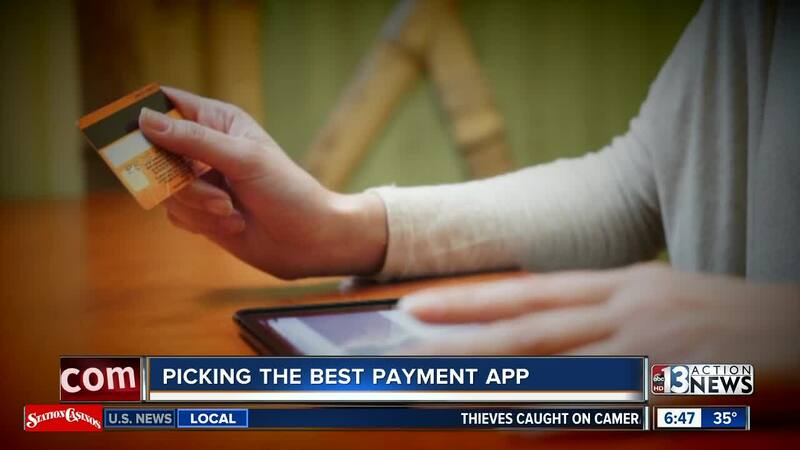 So with so many choices, how do you know which payment app is best for you? To help, we turned to I.T. Security Expert, Curt Miller, Partner and Founder of Anexeon. "It's all about how much convenience you want and how much speed," says Curt. "For instance, the Zelle system used by most of the banks is immediate. You literally hit the send button and it's in their account seconds later," says Curt. But that fast delivery comes with a cost. Once you send your money, it's gone for good. "If you sent it to the wrong person, you're not protected," says Curt. So make sure you type in the recipient's information correctly. Also, Zelle doesn't charge a fee to send money, but your bank or credit union might. Another popular option is Venmo, which is actually owned by PayPal. Its main design is for sending a small amount to friends and includes a social feature, that shows others what you're spending your money on. There is a three percent cost for sending money by credit card. In the end, no matter which app you pick, it's important to keep your phone locked. "Treat it like your wallet or your purse. You wouldn't let that get away and so ideally, you want to lock it as best you can," says Curt. Don't leave your phone sitting around, where someone could easily open the app and send themselves some money. Curt also recommends using these apps through your wireless data plan or a private and secure wi-fi network. "Free Wi-Fi is just that, in other words it's available to all parties in the vicinity and hackers can sniff the traffic," says Curt. As for Cecilia, she says she's not totally against the idea. "I would give it another try," says Cecilia. "I think it'll save you a lot of time and make your life a lot easier," says Quinn.